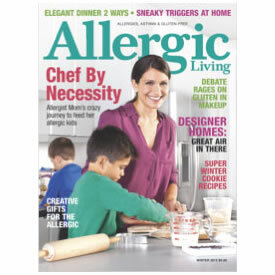 Get a free sample issue of Allergic Living Magazine when you fill out the request form. “For a limited time, Editor Gwen Smith is pleased to offer a free, sample copy of the magazine to new readers. Simply fill in the form, then click the “Send Free Issue” button. You will receive your issue in the first quarter of 2013.